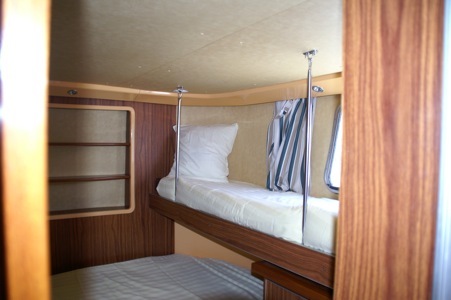 At the bows two cabins each with 2 single beds that can be joined to make a double bed with hanging cupboard and storage. Both cabins have a shower, hand basin and marine WC. 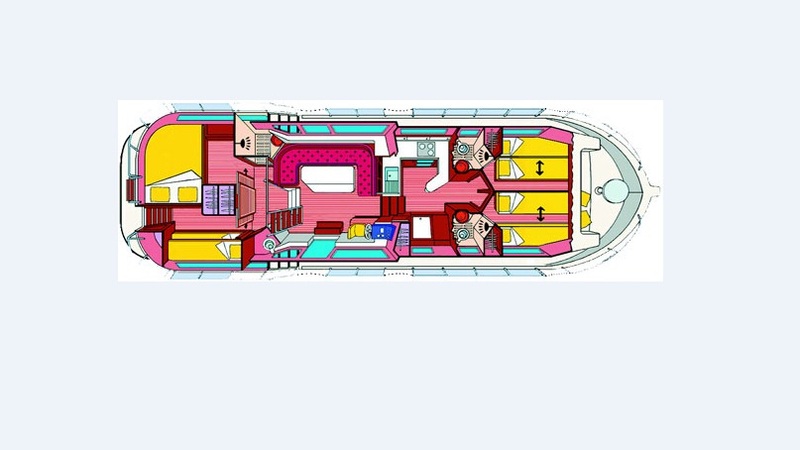 At the stern, one cabin with double bed, with the possibility of installing one small, child size, upper single berth; Hanging cupboard and storage. 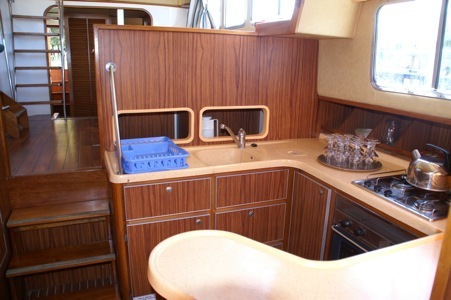 One cabin with upper and lower single berths, hanging cupboard and storage. 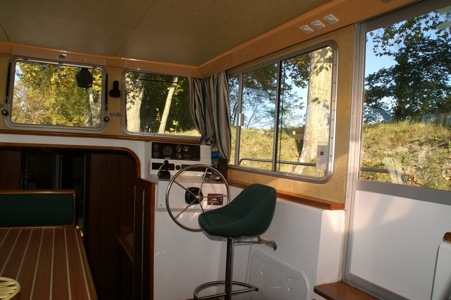 Flying bridge, with outside steering, fixed table and seating. Easy boarding on both sides. 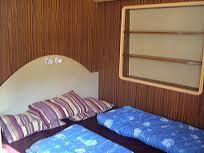 A Security Deposit of €1400 is payable on arrival. 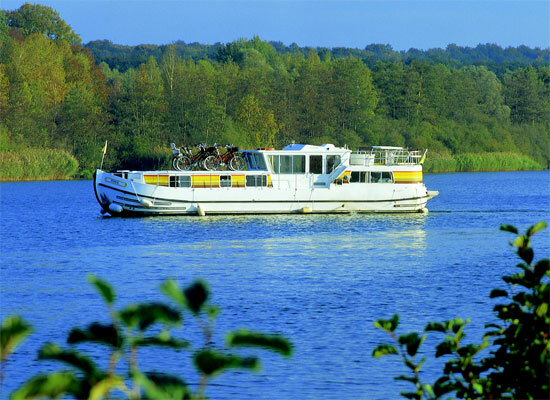 A non-refundable waiver of €108 for 2 to 9 days or €139 for ten nights or more is available in place of the security deposit.